Indian Pacific Wheel Race: The Ultimate Australian Bicycle Touring Route? Australia is big. So big that you can almost fit every European country in the same landmass! Given the size of the beast, it is only natural that Australia is hugely diverse in terms of climate and environment. Australia offers everything from alpine heaths to tropical rainforest and sandy deserts. While the average yearly temperatures in the southern Australian areas are a chilly 13 degrees celsius (55F), the northern areas will average a tropical 28 degrees celsius (82F)! This year in March is the first edition of the Indian Pacific Wheel Race (IPWR). This solo, single-stage, unsupported, 5500km road cycling race starts at the Indian Ocean near Perth and will finish at the Pacific Ocean in Sydney. While a non-stop race is not for everybody, the roads of the IPWR are pretty special and could just make up the ultimate Australian bicycle touring route. 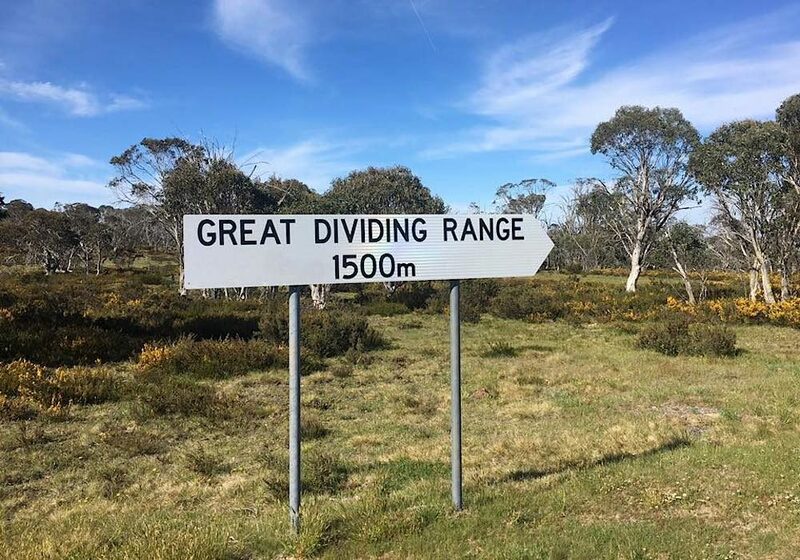 Just looking at the map, racers will cross the Nullarbor, experience the famous wine region around Adelaide, cycle the Great Ocean Road and feel the steep gradients of the Australian Alps. The routes in and out of all of the major cities seem to be very considered with lots of great bike paths and back roads. For bicycle travellers looking at a 3-month (or longer) experience of Australia, I’m not sure you can do better than this. If you’re time poor, choose a sector that suits your requirements, and get pedalling. I caught up with event organiser Jesse Carlsson to discuss the route he selected for one of the world’s longest bike races. How Did the Route for the IPWR Come About? I wanted to put on an unsupported ultra-endurance cycling race in Australia. Australia has such a rich history of endurance cycling and some very talented riders, and so I wanted to bring some focus back on Australia in this growing scene. I wanted a 100% sealed course. No gravel, except for unexpected road works. I wanted a total distance of around 5500km. This was so the first finishers would take just under two weeks to finish. Riding across a country is something special – whether a racer finishes first of 54th, everyone gets an amazing adventure. Not many people get to ride across countries, especially one as large as Australia. 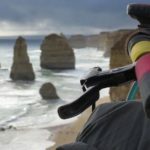 I thought a transcontinental ride would fit the bill – coast to coast across Australia. 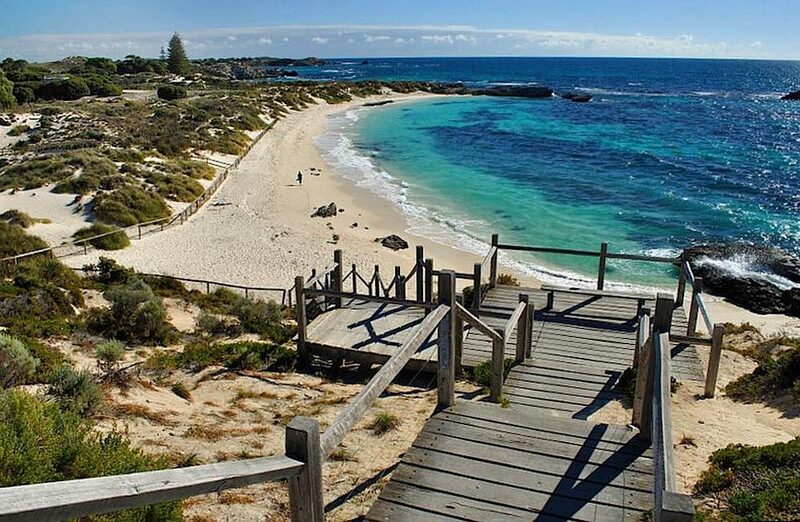 The start will be near Perth in coastal Fremantle and the finish will be at the Sydney opera house. Perth and Sydney are both very easy for international travellers to access. Riding across a country is something special. Whether a racer finishes first of 54th, everyone gets an amazing adventure. Not many people get to ride across countries, especially one as large as Australia. 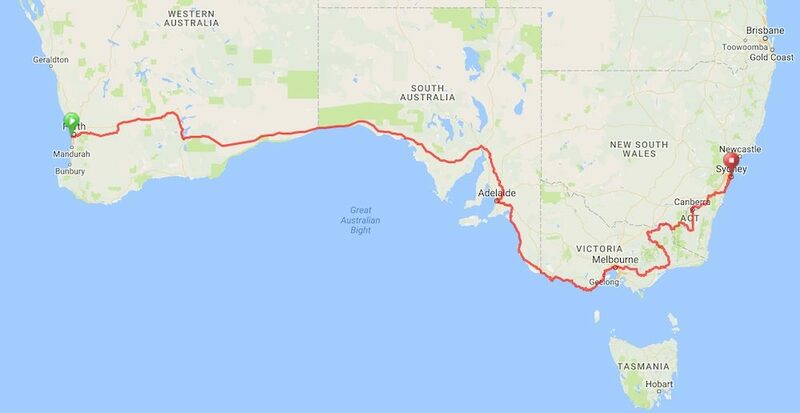 I thought a transcontinental ride would fit the bill – coast to coast across Australia. The start will be near Perth in coastal Fremantle and the finish will be at the Sydney Opera House. Perth and Sydney are both very easy for international travellers to access. 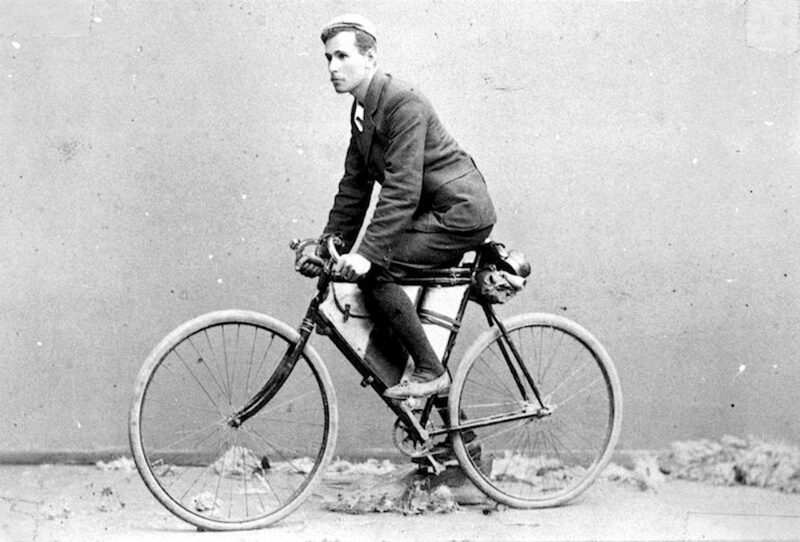 Arthur Richardson, the first person to cross the Nullarbor at age 24 (1896). I wanted the route to pass through the state capitals along the way. The route will pass through Adelaide, Melbourne and Canberra. These major cities are critical to life in Australia. I want riders to see the contrast between the city and the outback. It also allows other access points to the route if tourers in the future want to do shorter sections of the route. I wanted to cover some of the cycling hot spots in the major centres across Australia. That way racers will come across local riders more easily. I think it would be a great way for local racers and tourers in future to more easily meet local riders out on their daily rides. Safety was also a factor. Racers will be riding around the clock. Some routes would work during quiet times, but not at peak hour. Bike paths and quieter back roads have been used where possible. In particular bike paths have been used extensively in the transit through Adelaide, Melbourne, Canberra and Sydney. Fremantle, the start point of the Indian Pacific Wheel Race. What Features of the Route Are You Most Proud Of? Originally, I thought riding across Australia would be boring. I thought there would be little variety and too much of the same terrain and vistas to ride through. I was thinking about it in the wrong way though. I was thinking about the fastest way across. For a race route – the fastest way across isn’t important. Creating an amazing adventure that showcases the country is more important. I think the overall adventure looks amazing; putting it all together is something I’m pretty proud of. I guess we’ll see if people like it. I wanted the route to have had distinct sectors with very different characteristics. 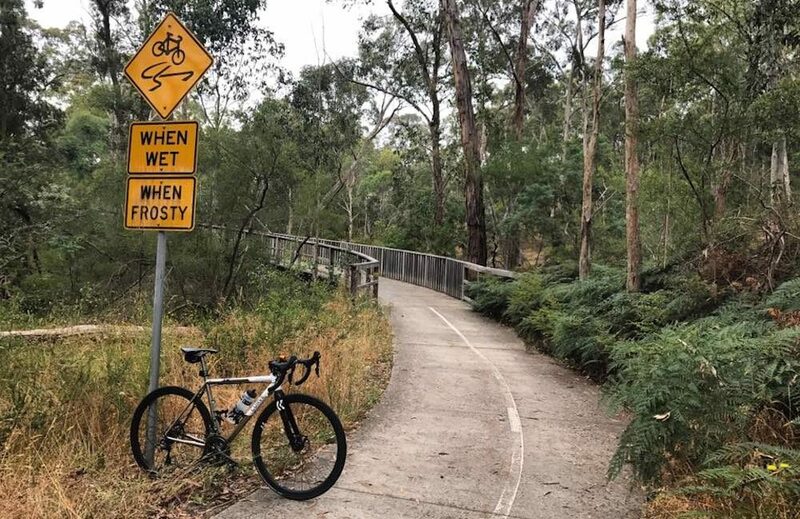 I think the IPWR route does that. There’s the desert stage (which includes the Nullarbor), the rolling hills of the Clare and Barossa Valley wine regions as well as the Adelaide Hills, there’s the iconic Great Ocean Road which is very popular for bike tourers, finally there’s a mountain stage from Melbourne to Sydney to finish. There’s something for everyone. 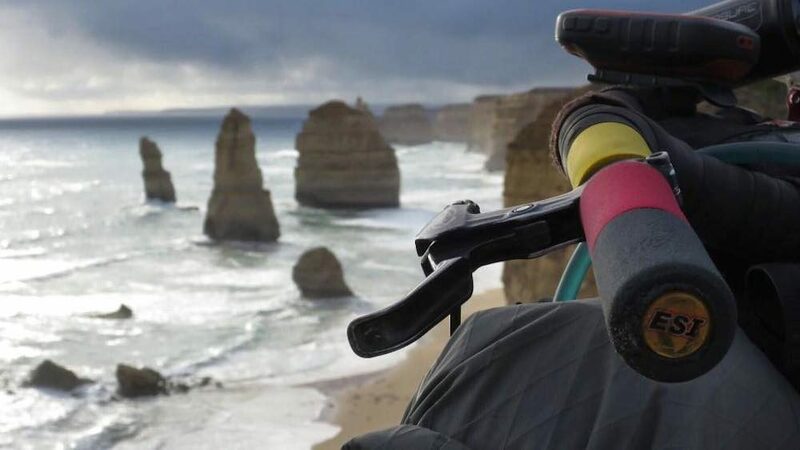 The Indian Pacific Wheel Race heads along the scenic Great Ocean Road in Victoria. Do You Think the Route Encompasses Most of What Australia Has To Offer? I think it offers some good variety and showcases many highlights of Australian cycling. Sure there’s plenty missing (including the tropics) but with the constraints I was working with I think the route does a pretty good job. The Indian Pacific Wheel Race follows lots of bike paths through cities. Is The Route Suitable For People Who Are Bike Touring? Absolutely. I would really like the route to live on as a long-distance cycle touring route. This is perhaps more important to me than just a race. In the USA the ACA does an amazing job at promoting long distance cycling. They make it easy. By publishing well-annotated maps with updated details on what services riders in the various towns along the way, touring becomes more accessible both to locals and visitors. Some of ACA’s routes have been used in ultra-endurance unsupported racing. I hope that we can do it the other way around here. In preparing a race route and racing the route, a lot of knowledge about services will accumulate. I’d love that to be open source in some way. I’d love it to be shared so that cycle tourers can access it and plan their own adventures. I’m not sure how this will happen – I’ll probably need some help. Hopefully there are some keen riders out there who are able to help with this. That way we’ll have a route and a collection of knowledge about the services along the way. Cycle tourers could bite off a smaller section that suits them or do the whole thing and hopefully update the route information along the way to ensure it’s always relevant and up to date. The highest roads in the Indian Pacific Wheel Race hit ~2000m.